EATON — A Richmond, Indiana man faces felony drug charges after a traffic stop led to the discovery of heroin and other items in his vehicle. 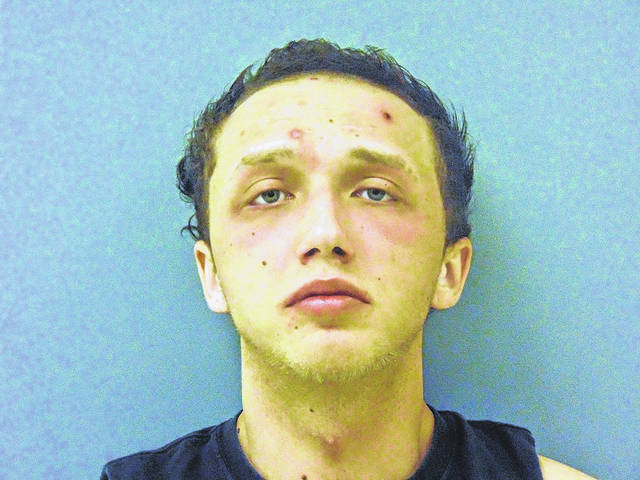 Robert Bryant Sigmon, 24, remained incarcerated at the Preble County Jail at press time. According to Preble County Sheriff Mike Simpson, on Monday, April 2, at approximately 12:48 p.m., PCSO deputies stopped a 1996 Honda Accord on North Barron Street at Washington Jackson Road for a traffic violation. ”During the stop, deputies observed marijuana in plain view inside the vehicle. The driver then gave consent to search the vehicle and his person,” Simpson reported. Sigmon was taken to the Preble County Jail. Formal charges were filed last week in Eaton Municipal Court. Sigmon faces charges including possession of heroin, a fourth-degree felony and illegal use or possession of drug paraphernalia.